Hot on the heels of a record breaking, critically acclaimed West End run this irresistible new production of Funny Girl is now coming to the Glasgow Kings Theatre in 2017. 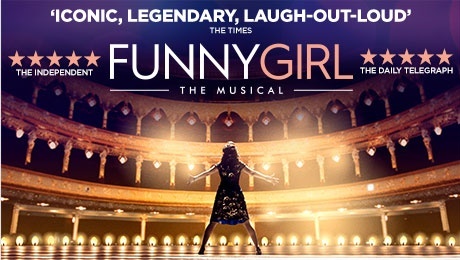 Following a sold-out run at the Menier Chocolate Factory in 2015, Funny Girl The Musical returned to the West End for the first time in 50 years, at The Savoy Theatre from 9 April – 8 October 2016. Don’t miss this sensational production as it comes to Glasgow for 5 nights from the 30th May to 3rd June 2017. The original book was written by Isobel Lennart, music composed by Jule Styne and lyrics written by Bob Merrill. The musical is semi-biographical, based on the life and career of Broadway star, film actress and Comedienne Fanny Brice. Natasha J Barnes and Darius Campbell will play Fanny Brice and Nick Arnstein.